There are so many fun facts about Solar System! 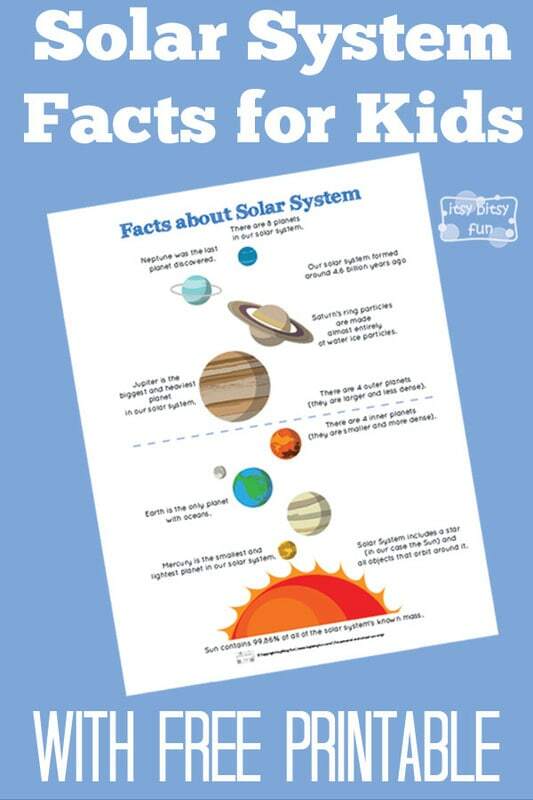 Let’s learn with facts about Solar System for kids! We already the planets with planet worksheets and now it’s time to learn a few more things. There are many interesting things going on in our part of the galaxy so learning about them is always fun. Our solar system formed 4.6 billion years ago. Solar System includes a star (in our case the Sun) and all objects that orbit around it. There are 8 planets in our solar system. Neptune was the last planet to be discovered. Saturn’s ring particles are made almost entirely of water ice particles. Jupiter is the biggest and heaviest planet in our solar system. Earth is the only known planet that has oceans (as far as we know for now). Mercury is the smallest and lightest planet in our solar system. There are 4 outer and 4 inner planets in our solar system. Reading the facts is one thing (and it can be sufficient if your kid is a reading type) but visualising things can be even better. 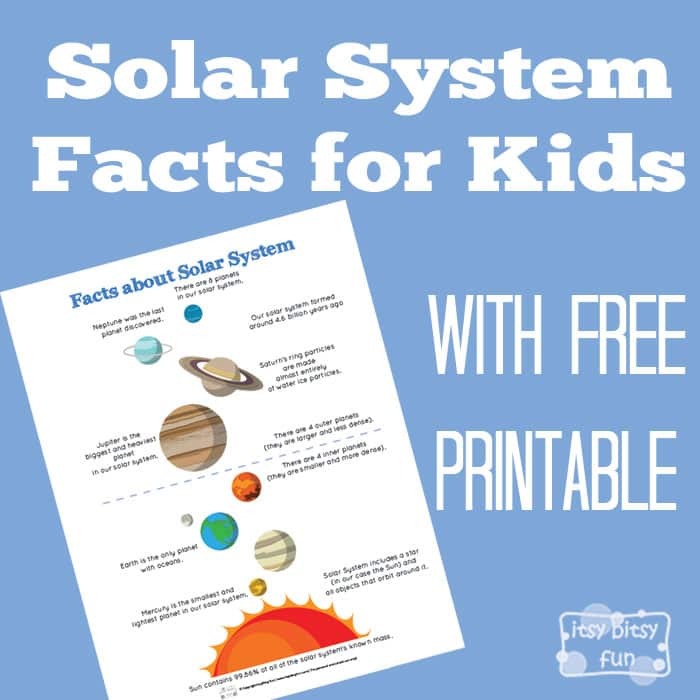 Get your free printable Solar System Fun Facts here. Want more? Be sure to check the interesting sun facts too! Also check these rabbit facts for kids!